That's the city map above, which you can find by clicking here. The NYCWireless Map is below, which you can find by clicking here. 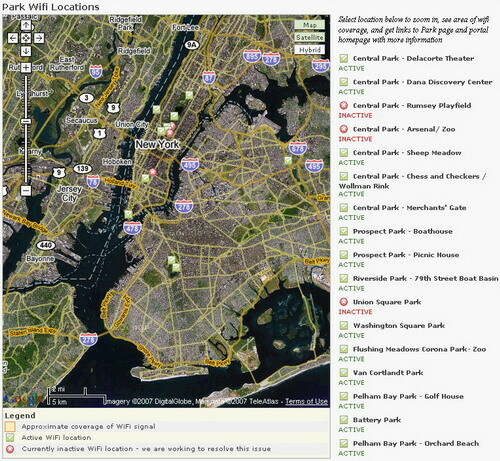 Only the Blog Knows Brooklyn has also thoughtfully posted the NYC city parks hotspot list, which you can find here.